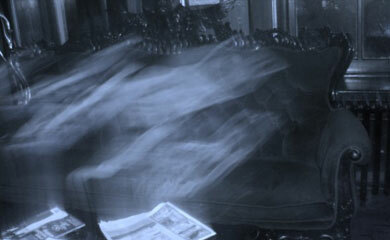 Take the day off and come relax with us with some spa time and be entertained as you go on our ghost tour. With Spring comes the smell and sensations of wonderfully fresh mountain air. With this deal comes the Crescent's "Fresh" new guest rooms newly renovated and accompanied with balconies to enjoy the outside views. If you can escape for one day, we can make you a new person. 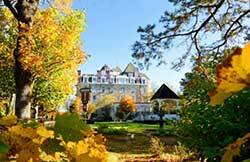 We would be honored to have you as our guests here at The 1886 Crescent Hotel & Spa. To entice you to come visit Eureka Springs and stay with us we have put together some fantastic packages offering great deals on lodging and other Eureka Springs activities guaranteed to make lifetime memories for you and your family to cherish and enjoy. You have saved up two days to get away from it all… escape to a Mountaintop Spa Resort. Share a hotel with "guests who checked out but never left." 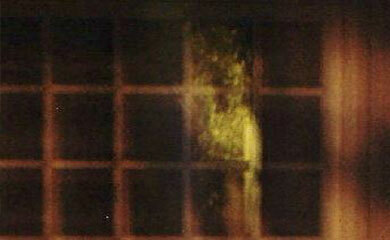 America's Most Haunted Hotel is waiting for you. 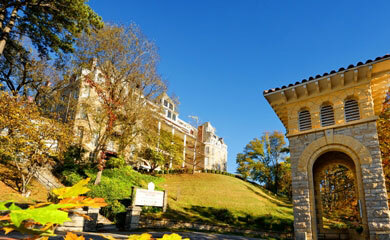 Eureka Springs is home to the best mountain biking in Mid-America. 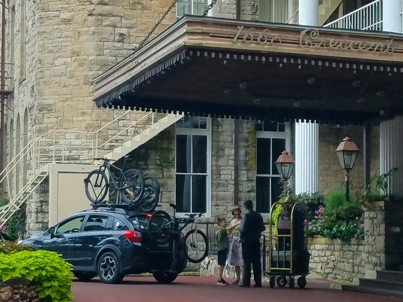 The Crescent hotel is centrally located to all trails with midweek savings. Find the best trail deals here. Whether you are celebrating a birthday or an anniversary, let the Crescent Hotel be your host as we wine and dine you in our premier resort hotel. Enjoy a Spa Escape Getaway! Spa treatments, breakfast, great accommodations, shopping, and lots of fun! 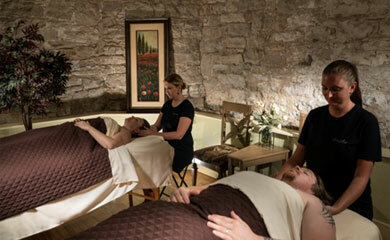 A Spa getaway for four people that includes, lodging, massages, breakfast, and more! 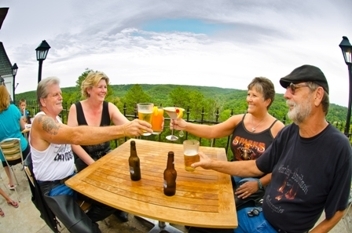 On Top of the Pig Trail, the Crescent Hotel is a biker friendly hotel with outdoor veranda guest rooms, reserved parking and the best view in Eureka Springs at the SkyBar. Biker's Best Rate Available!